With this in mind Rob the Ranger lead a tree walk on Saturday 29 October when 24 park visitors were taken on a great guided tour of Bestwood’s amazing trees. 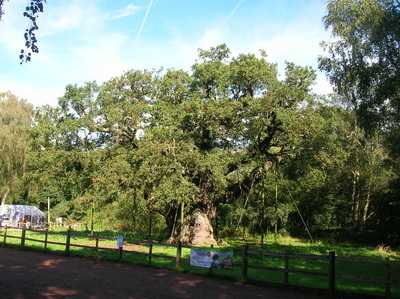 Rob also spoke about the history of the trees that were visited and gave details of the Rangers’ management plans for various areas of the park. The autumn colours were looking grand and there will be some photos in the gallery very soon. Next Saturday (29 October) the Dynamo House Café will have the added bonus of a sale table. Local seamstress and knitter Carol Hart will be offering her wares for sale between 10am and 1pm. All profits from the sale will go to the Friends Of Bestwood Park so by buying something you will be helping a good cause as well as picking up a bargain. Do come along and support the event. A ranger-led walk to take us to less-frequented areas of the park to discover species lost and found, and enjoy the autumn spectacle of tree colour. 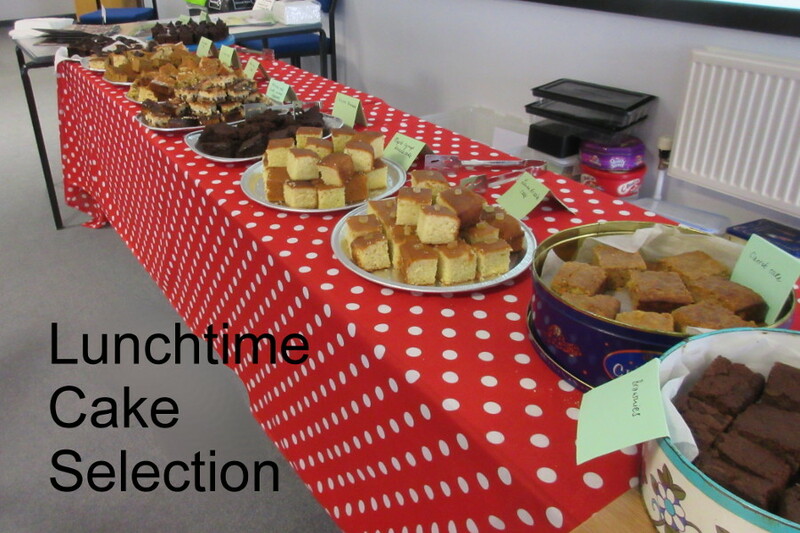 We should be back at the Dynamo House in time for tea/coffee & cake at the café before they close at 1pm. Note: steep slopes, muddy and uneven small paths involved. Some of our regular visitors have been walking around the park taking in the start of the autumn colour change. Rhoda took her camera along and has shared the images she captured with us. They are in the gallery and we hope it inspires you to get out into the park to enjoy the show nature is putting on for you. If you want to find some hidden places within the park join our Rangers' guided walk on 29 October. One very wet day on Saturday, and one beautiful day on Sunday made for an interesting weekend at the Major Oak Festival at the Sherwood Forest Visitors' Centre. 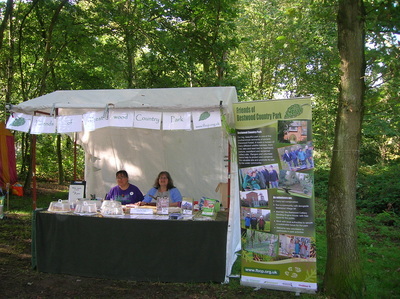 FoBCP had an information stall spreading the word about our southerly patch of Sherwood Forest. 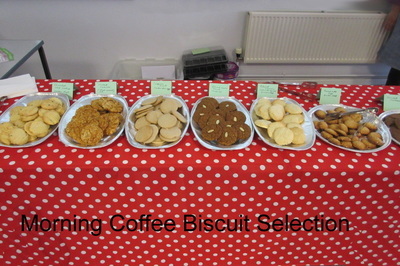 To entice people to our stall we also sold examples of our café cakes and takings were up on last year. 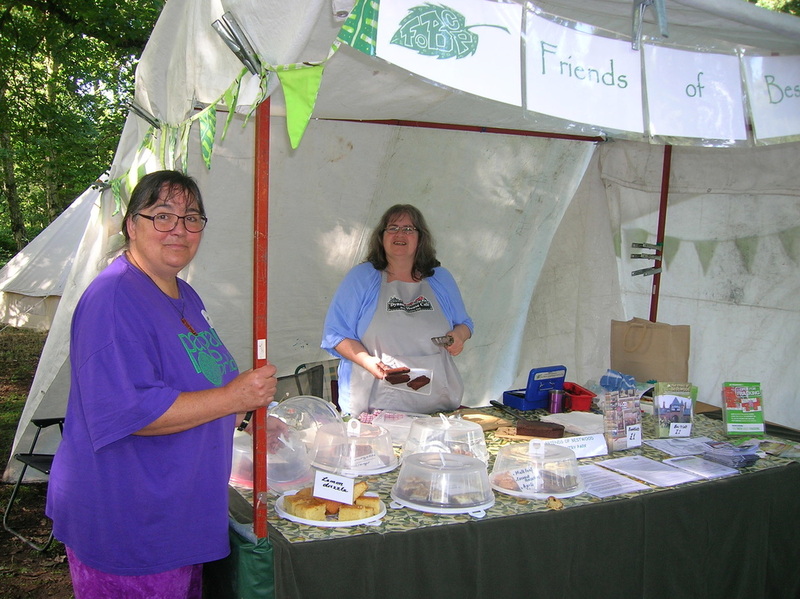 Gill took up fresh supplies of cakes on Sunday, and felt very welcomed, as two people separately on her way through the forest to our stand stopped her to ask if she was ‘the lady bringing more cakes’! The stands were a fascinating collection of unusual people and their crafts. A great event to be a part of. There are a few images of our stand below. Four adults were seen to have a BBQ on the first bench in the park after the main gate. They had deckchairs and all necessary picnic items they had brought in. Much as we encourage picnicking in the park this group managed to burn their BBQ trays on the bench, whilst keeping their deckchairs well away. We have photos of the damage taken the next day shown here. We usually, and probably wrongly, assume that children or teenagers are to blame for such damage, but not in this case! Please take care if you plan to BBQ in the park. On Bank Holiday Monday visitors to the Dynamo House Café had the added treat of being serenaded whilst they enjoyed their drink & cake. 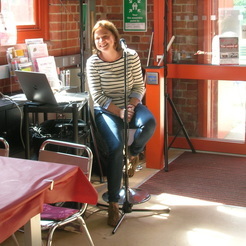 Wendy, a local young mum, brought along her backing tracks and gave us a selection of big ballads, pop songs and acoustic tracks by artists as varied as ABBA, the Carpenters, Adele and Norah Jones. We hope to repeat the experience later in the autumn to give more people a chance to hear this talented lady. We will give you notice of the next gig so you don't miss a thing. Katja Hock is a woman on a mission. You may see her around in the park with her impressive looking camera eyeing up a shot of the park or the people in it. She has managed to capture many stunning images of the park and has selected some of them to be displayed on her website - www.stillefragmente.co.uk. The project also includes contributions from other people in the park - a collaborative montage of park life. Take some time to look at her still images and films for a chance to see the park through fresh eyes. Notts County Council (NCC), who own and, at present, manage most of Bestwood Country Park, need to make further cost savings on the Park’s budget next financial year. Negotiations are going on between NCC and Gedling Borough Council (GBC) for a contract with GBC for grounds maintenance of the whole park. The plan is that this will make the required savings, while maintaining the current standard of care. If a contract is agreed, NCC and GBC Councillors will vote in the autumn on whether it should be adopted or not. If that is approved, then the contract will take effect from 1 April 2017. We find it hard to see how in practice such cost savings can now be made without affecting the standard of maintenance of the grounds, paths and wildlife habitats. We have met Councillors and Officers of NCC and GBC to voice this, and that process continues. We feel that if standards are to be maintained, experienced and knowledgeable Ranger presence and time on the park site has to be continued, directing and managing the volunteer conservation groups that are so essential there. Our major concern therefore is that this will not be given enough importance in the negotiations over costs. The more people who support us and groups like ours to make their voices heard, the better the message will get across to Councillors and MPs. 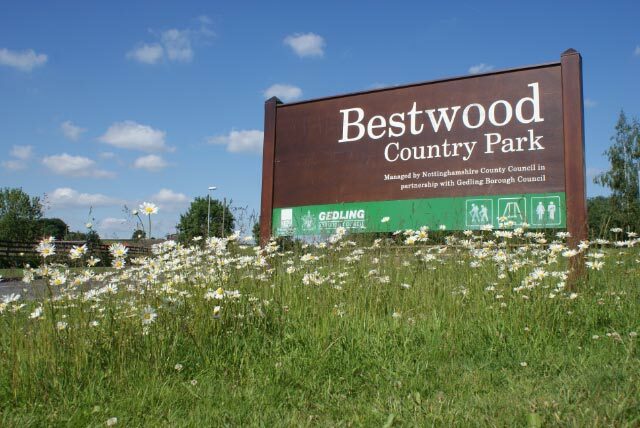 For Bestwood Country Park : contact your local Councillor, to make them aware of your care and concern for the park’s future, the ways you use it and value it. Don't miss out on having your voice heard. Protect the future of your park. Do you fancy learning how to be the leader of the pack? Volunteer walk leader training is on offer for free as part of the nationwide Walking For Health initiative. 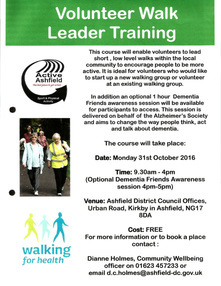 Our local event takes place all day on Monday, 31 October at the Ashfield County Council Offices in Kirkby in Ashfield. Click on the poster for more details and contact Dainne Holmes for more info & to book a place. Bestwood Country Park is offering young people a series of free basketball sessions based at its new MUSA facilities at the Bestwood Village end of the park. The sessions for 11 - 18 year olds will take place between 5.30pm and 6.30pm on dates in August & September. 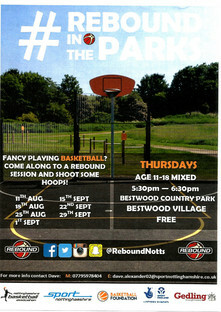 If you fancy shooting some hoops come along to a session and try your hand. All sessions are free and there is no need to book ahead. Just turn up and be prepared to enjoy yourself. Everyone knows that mining has historically been a dangerous occupation. However, few of us would have guessed at the number of miners who lost their life at Bestwood Colliery during its working history. To ensure that their sacrifice does not go unnoticed Keith Stone has created a wonderful memorial plaque to commemorate them all. 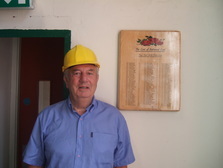 The original wooden plaque listing the names now lives in the Winding Engine House and a framed photograph of the plaque is situated in the mini museum in the Dynamo House. Take a moment next time you are there to read through the list which contains many local names. Images of the plaque are in our gallery. 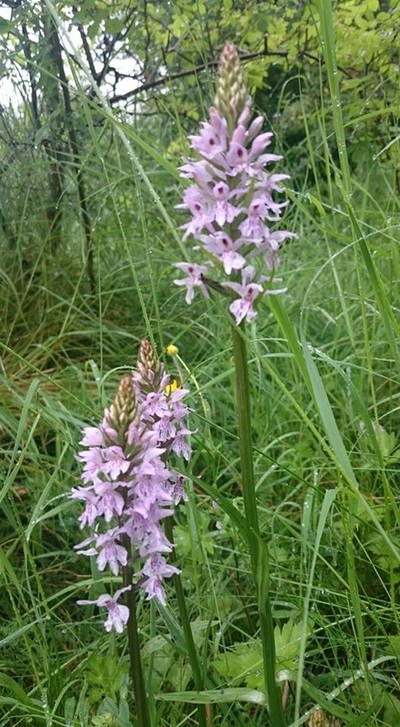 Rich, one of the Notts County Council rangers, is publishing a blog which we can all now enjoy, It will help everyone understand who the rangers are and the work that they all get involved with in our park and at Rufford. To read his blog click here. The 2016 Greenwood Awards ceremony were held at Swancar Farm, Trowell Moor on Monday, 11 July at 5:30pm – 9:30pm. Four members of the Friends Group attended and were proud to display their new banner which was hot off the presses at the printers. The BBQ was served from 6pm followed by the awards ceremony which included a review of achievements around the region and the presentation of awards. Sadly the FoBCP were not nominated this year but all the worthy winners were applauded enthusiastically everyone who attended. The monthly update on what's going on in and around the park is now available. Either download it from here or use the contact form to request your details are added to the mailing list so it comes to you directly every month. One of their finds on the walk. On Saturday 2nd July we held a "Wildflowers and Beasties" walk, led by one of our Rangers. A select group of 6 assembled at 10.30am in the Winding Engine House car park ready to set off into the park with Rob as their guide. They walked a circuit of the park including several of the diverse habitats which are home to a wide variety of flora & fauna. They had finished by about 12.30pm, leaving time for a visit to the café where all six enjoyed a cuppa & a cake and viewed their photos of the walk. We have some photos of the walk in the gallery. Get out and walk in the woods - It's officially good for you! 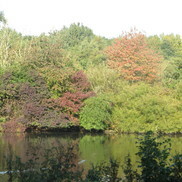 Bestwood Country Park has lots of trees for you to enjoy as you walk through the park from Bestwood Village to Arnold or vice versa. Give yourself a break from all those electronic gadgets and find some peace & quiet. Recent studies have shown that walking in woods reduces blood flow to those parts of the brain associated with brooding. It can have an effect on your physical well being too by lowering blood pressure, boosting energy and combating depression. And of course best of all this is one therapy that is free! Read all about this ultimate antidote to stress here. The Rangers have noted that the motorbike nuisance and disturbance in the park is increasing. If you see this going on, please report it to the Police by calling 101. It’s only when such reports pile into them that they’re able to take action on it. If you live close by the park, tell your friends and neighbours! The park has been showing us some of its most spectacular blooms this month. Keen local photographer Tamsyn Cheetham managed to find a couple of our most prized little gems & took photos of them to share the joy. 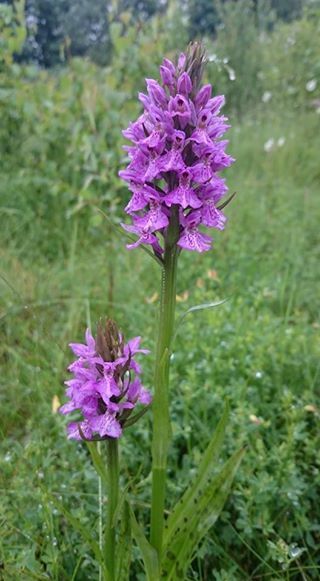 Like all wild flowers these should not be picked. If you come across them please enjoy them in their natural environment, decorating our lovely park.  Arnold Carnival – FoBCP stand will be involved on Saturday 18 June 2016. Gill and Richard will be attending, so look out for them.  Oakwood Academy Food Festival will be held on Saturday 2 July 2016 and volunteers for a FoBCP stand are required. Please contact Gill asap.  Friends of Greenwood Awards Ceremony would be held on Monday 11 July 2016. FoBCP members interested in attending, let Gill know before 17 June 2016. Our next meeting is on Thursday 16 June, 7.30 pm, at Bestwood Lodge Hotel. It will also be our AGM, when the posts of Chair, Vice Chair, Secretary and Treasurer will be up for nominations from the committee. The current Chair, Margret, will delivery a summary of the past year and the current Treasurer, Gill, will review our spending and fund-raising over the last 12 months. The remainder of the meeting will be on the normal agenda. Check out more details on the meetings page. The "What's On" events sheet is available for the month of June. Make sure you don't miss out on anything happening in and around the park by checking out the details here or clicking below to download your own copy. In addition to the normal Saturday opening hours the Dynamo House Café and the Winding Engine House will be open for visitors on BH Monday. The free tours of the WEH will run from 10am to 12 noon and the Café will be serving up hot & cold drinks and home-baked cakes from 10am to 1pm. Free car-parking is available at both ends of the park - check out our maps for details. Back in March the Thursday volunteers undertook some work in the Japanese Gardens. Gedling BC had used a small digger to remove a tangled corner border of old roots, brambles and nettles and had left us with a pile of top soil. Our job involved levelling out the newly arrived top soil in readiness for seeding with grass. It was an opportunity to check out what was flowering in and around the Japanese Gardens too. 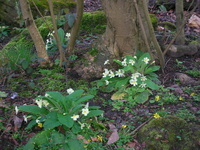 Gill was on hand as ever armed with her camera to capture the work & what they found blooming. Check out the photos in the gallery. 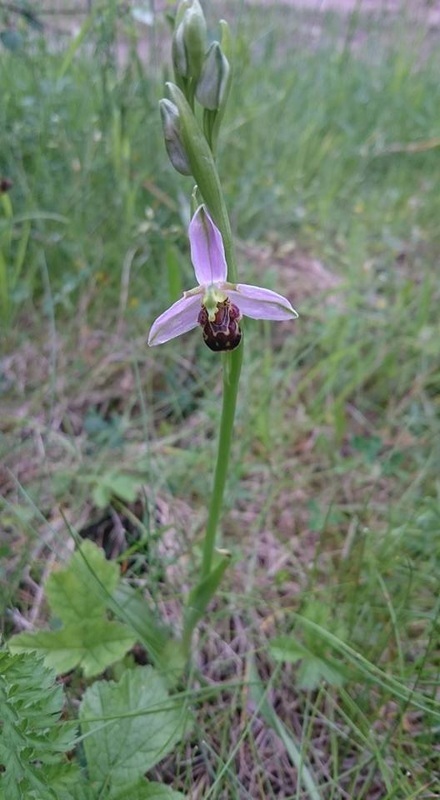 Two interesting opportunities have come up in nearby parks we thought you might be interested in. 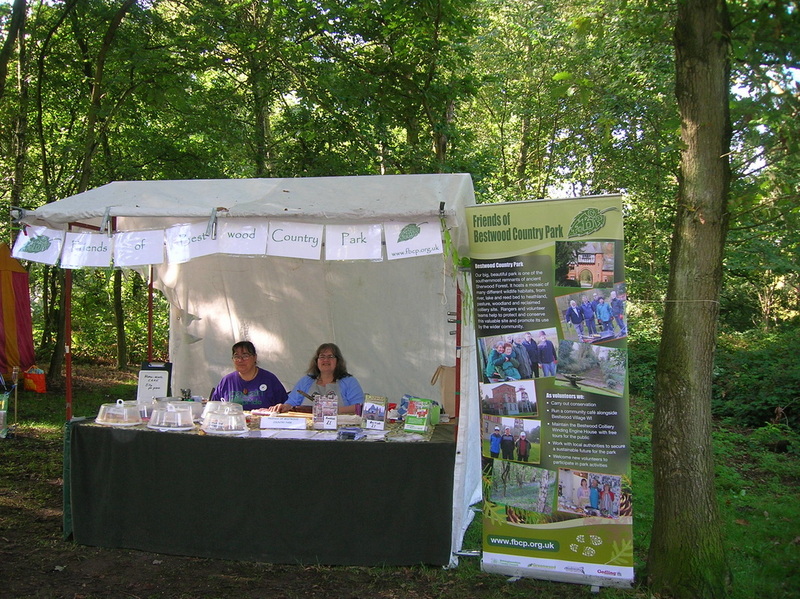 You can take part in a reptile survey at Sherwood Pines or learn more about the Grizzled Skipper butterfly at Balderton Village Central Pavilion. Both events take place on Saturdays in May. Find out more on our Greenwood Events Page. The Sherwood Lecture series continues! The next two upcoming lectures are an Archaeological Walk and Talk with Andy Gaunt on 15th May and A Dusk Chorus in the Forest with Carl Cornish 16th May. 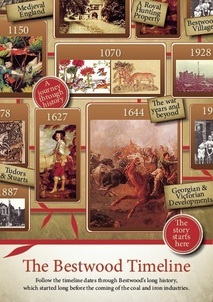 You can see details of the where & when on the poster in our Greenwood Events Page. For further information ring Visitor Information Centre on 01623 823202. Once again the Winding Engine House was one of the heritage destinations taking part in Radio Nottingham's Big Day Out on Sunday. This meant an extra day of opening up the WEH & the Dynamo House Café as the regular Sunday opening doesn't start until June. We were very proud to find an article about the Bestwood Winding Engine volunteers in this month's edition of Nottinghamshire County Council's County Life magazine. If you didn't get a copy delivered through your door you can just download a copy here or see a copy of the article on our "What the papers say" page by clicking here. ﻿The FoBCP Spring Newsletter is now available to download on the What's On page﻿﻿. Have a quick read and make a note of the events that you want to attend so you never miss out on an opportunity to enjoy time in the park. As an added bonus this time there is a Bestwood Spring Creatures Feature sheet to download here. Once again the Winding Engine House will be taking part in the Radio Nottingham Big Day Out on Sunday 17 April. For the full list of locations offering free entry click here. Yet again the task of feeding the 120 delegates and lecturers attending the big Nottinghamshire Biodiversity Action Group day of talks at Brackenhurst College fell to the FoBCP. 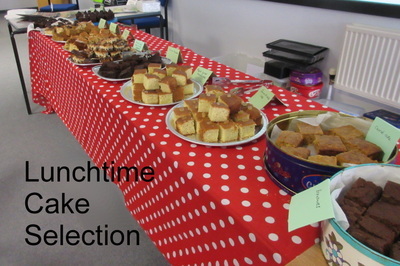 Rallying their army of bakers who support the Dynamo House Café they managed to supply home-baked biscuits at morning break and cake for pudding at lunchtime. Any leftovers were snapped up at afternoon break. Despite offering these refreshments free of charge the donations rolled in and £110 was found in the ladybird money box at the end of the day. All profits will be ploughed back into the park via the FoBCP. Thanks to everyone who was involved in baking, serving, eating and donating. Of course the whole thing was in jeopardy when the cakes got stuck in the lift... but that's another story! Notts County Council have posted up the latest dates when you can volunteer to help out in the park. You could become one of the regular Thursday Volunteers who help to maintain the park and improve it for all our visitors. Check out the details here. On Monday this week we received even more great coverage in the Nottingham Post following the launch of the Timeline Booklet. Read the 2 page article here. At the last monthly meeting of the Friends Of Bestwood Country Park it was noted that lots of roe deer had been spotted in the park. We are also keeping a special eye out for any sightings of nightjar and woodlark in the park. If you see any of these special visitors, or anything else interesting in the park, please drop us a line and let us know. Get in touch here. The launch of the new timeline booklet was covered in the local press last week. Several local papers including the Nottingham Post and the Hucknall & Bulwell Dispatch gave over space to announce its arrival. This resulted in some new faces at the café on Saturday, despite the weather being miserable. Check out what the papers had to say here. 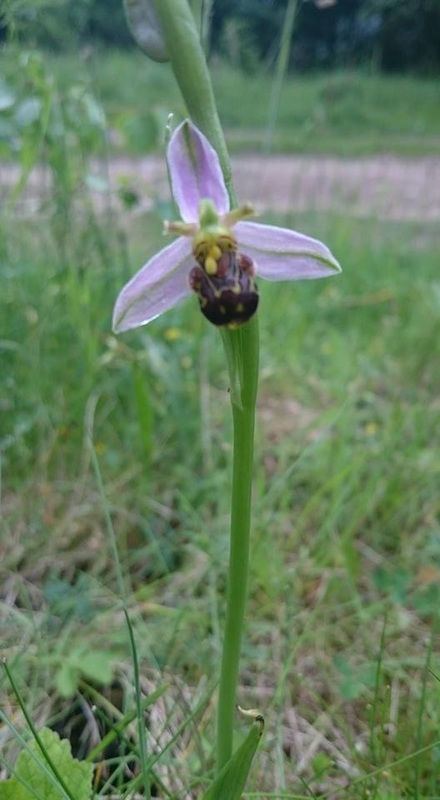 We have had a query from our website Forum – can anyone help? If you recall this and can shed light on what was happening please contact us using the contact us form. 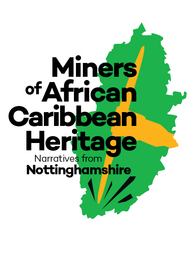 Nottingham News Centre, funded by the Heritage Lottery Fund will begin an exciting project: Coal Miners of African Heritage - Narratives from Nottinghamshire, which will document the memories of former African-Caribbean coal miners of Nottingham & Nottinghamshire from the nationalisation of British Coal in 1947, to the miners’ strikes of the 1970 and 1980s and to the end of British coal mining in 2015. Bestwood Country Park and the WEH will be one of the focal points for the project with displays & events being held there over the coming months. Look out for information on these events on this website & advertised in the Dynamo House Café. One of our WEH volunteers has recollections of the Black miners who worked at Bestwood and Gedling Pits but we are keen to discover more. Do you remember Black miners at local collieries? If so, please drop in and talk to our heritage officer or drop an email to Laura. On Saturday afternoon the Dynamo House was the venue for a free workshop on the theme of reducing food waste in the home. Tutor, Peter Hellawell drew attention to areas where savings could be made on your weekly shopping and explained how to store the food better to increase its shelf-life once you take it home. Making the most of all your ingredients including left-overs also featured on the 3 hour course. To read more about the day see the Nottingham Post's article here. To find out more about the WRAP Love Food :Hate Waste campaign click here. After months of planning and preparation the historical information set out on the information boards in the Dynamo House are available on paper. 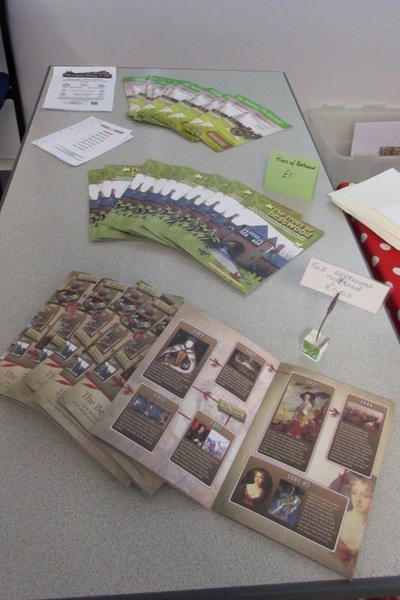 A wonderful A5 booklet has been produced containing the text and images from the boards for our visitors to buy and take home. At just £1 a copy it is a real bargain and a great memento of a visit to the park, the Winding Engine or the Dynamo House Café. The Friends Group would like to thank everyone who has been involved in this project, not least Counsellor Pauline Allen and NCC'c Linda Hardy who have both helped make this possible. The park saw its first snowfall of the season this weekend and Gill was out and about with her camera to capture the moment. Check out some lovely shots of the park under its snowy-white blanket in the gallery. Last weekend we had a contribution from what is almost certainly our youngest ever baker. Jodie (8) had baked (with a little help) a wonderful iced lemon cake for us to sell on Saturday. We were very happy to receive this donation as the sunshine had brought out walkers in good numbers and without it we would have certainly run out of cake. Jodie's lemon cake was snapped up almost as soon as it was cut and the customers said it was marvellous. The money we made from selling it, as always, will be fed back into the park to buy items likes bird seed, benches and picnic tables. Look out for more cakes from our budding baker in the coming months. As many of you will know we have been lucky enough to have Laura Simpson join the NCC team as Heritage Tourism Officer. She took over from Adele and ran the Steam Punk and Victorian Market events last year. We thought it was about time we all get to know her a little better so you can read her story in the Park People section here. 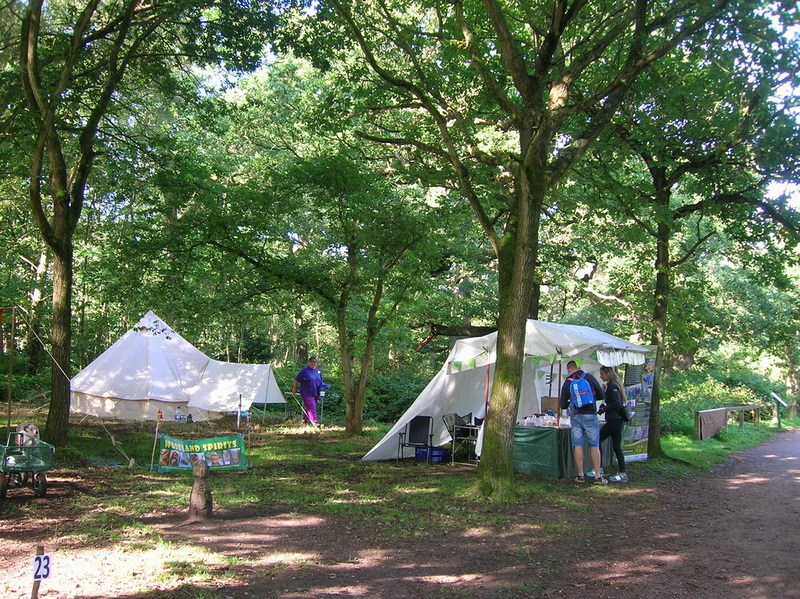 We are looking forward to a great year ahead in Bestwood Country Park. The Dynamo House Café is thriving and will continue to be open every Saturday 10am to 1pm with tours of the Winding Engine House on offer 10am to 12 noon. The monthly health walks continue on Wednesday mornings as do guided Nordic walks on Saturday mornings. There are regular volunteer days where you can involved in helping to keep the park looking at its very best. For details of all these and more park events check out our events page, where you can also download the Winter newsletter. 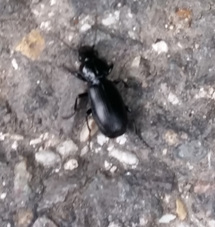 Although we have received no reports of this from our park we felt it sensible to alert visitors to the issue and offer advice should they be concerned. Click here for some general advice and please report any local cases to us so that we can act to inform and protect other users of the park. Today saw the Dynamo House converted into a pop up mini Victoria Market place with goods on sale made by young people from Stapleford. They enhanced the Victorian feel of the event by donning period costumes to man their stalls. There was a tombola to test your luck and Christmas wreaths made at a recent workshop were also on sale. 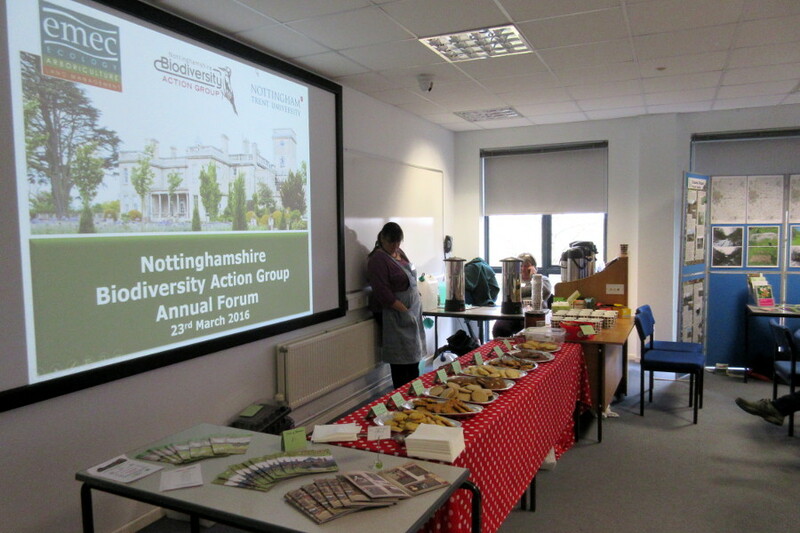 The event was very successful raising over £300 for the FoBCP funds. For a few photos of the event check out the Gallery. Photographs of the amazing event "A Celebration of the Forest" back in November are now available. The images taken by Hue Of Two show the story of the evening with entertainment from several strands of the art world. To view them click here. Once again NCC arranged a great thank you party for all the various volunteer groups involved in making Bestwood Country Park an amazing place. They all gathered at Emmanuel Church for a pie & pea supper served up with love by Sue & Laura. Sue also set a testing quiz for the tables to tease their brains with over the great range of puddings. The whole evening was a treat for everyone and fun was had by all. Photos are in the gallery. Today 10 local ladies enjoyed a couple of hours turning spruce, holly, ivy and fir into Christmas wreaths. The workshop was held at the Dynamo House from 1pm to 3.30pm and resulted in lots of festive fun and some wonderful festive creations to take home & enjoy. A few extra wreaths and sprays were made and these will be available to buy at the Mini Victorian Christmas Market being held at the Dynamo House on Saturday 12 December between 2pm and 4pm. Photos of the wreaths are in the gallery. A new set of Thursday volunteer day dates have been announced. So if you feel like getting out into the park and putting something back into your community in the New Year go and check out the dates on offer. Click here. To avoid a clash with the Celebration of the Forest Event (see below) the date of the monthly FoBCP meeting has been changed. We will now meet on Thursday 26 November instead of the 19th. The venue remains at the Bestwood Lodge Hotel and the meeting will start at 7.30pm as normal. Anyone is welcome to come along and observe the meeting. Heavy machinery has been seen inside the park gates opposite the Post Office - yes work is about to start on the MUSA area. Weather permitting, they will start work on Monday 16th November and estimate completion within about 3 weeks - again, weather permitting. You should be able to ride your BMX, play football or basketball, or try the trim trail by Christmas - fingers crossed ! This week we will be taking delivery some young trees donated by the Woodland Trust and sourced by the Bestwood Village WI. 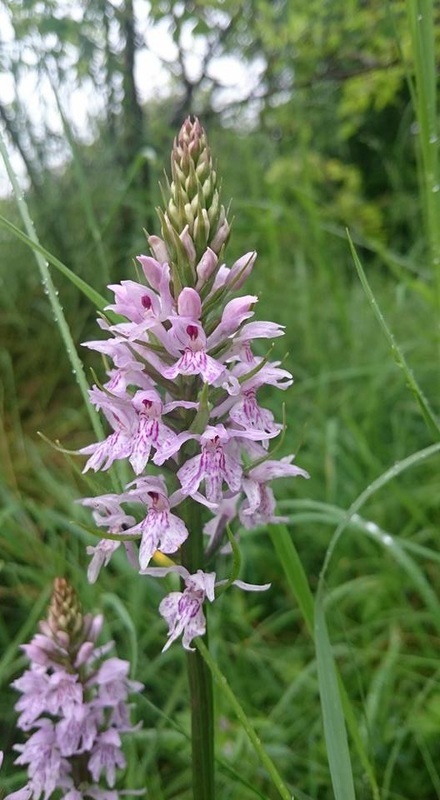 The trees will be a bundle of 105 "Wild Harvest" species and will be planted by the rangers and volunteers behind the Winding Engine House to provide extra cover and food for the local wildlife. Look out for lots of planting activity in that area over the coming weeks and for photos of the work in the gallery. News from October 2015 and before is stored on our News Archive page here.